Dimensions 413'5" by 36'9" by 13'7"
Modifications Light antiaircraft may have been increased to as much as 28 25mm/60 AA guns and 4 13mm/76 machine guns before the ship was lost. 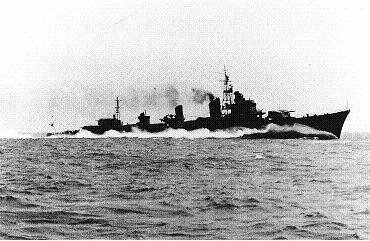 Shimakaze was commissioned on 10 May 1943 at Maizuru Navy Yard. She used a new type of experimental high-pressure machinery and was was extremely fast and well-armed, with an impressive battery of Long Lance torpedoes. She was possibly the most powerful destroyer of the Second World War. However, she was expensive to construct, and sixteen sister ships originally projected were never ordered. 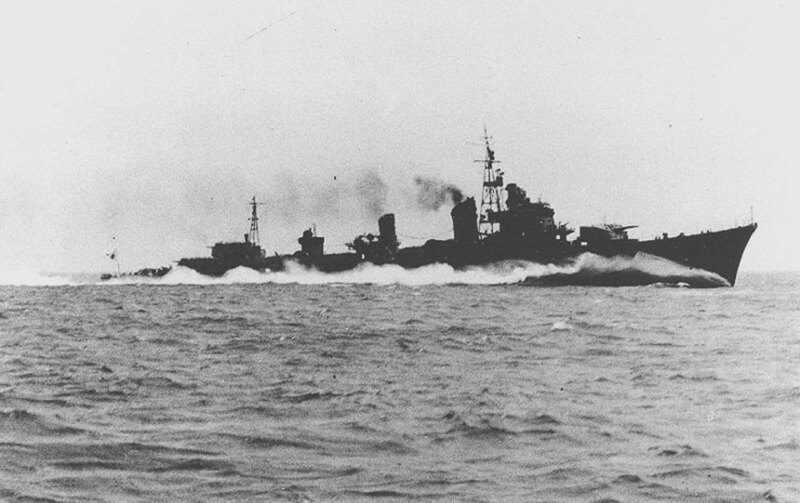 Shimakaze participated in the Aleutians evacuation and in the major fleet actions of 1944 before being sunk by carrier aircraft while on a "Tokyo Express" run to Leyte on 11 November 1944.